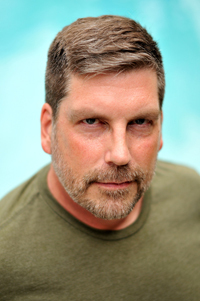 Jim Tushinski is an independent filmmaker and writer living in Southern California. Jim's latest feature documentary, I Always Said Yes: The Many Lives of Wakefield Poole, tells the life story of influential independent filmmaker Wakefield Poole. It is based on Poole's autobiography, Dirty Poole. Jim's feature-length documentary, That Man: Peter Berlin, had its world premiere at the prestigious Berlin International Film Festival and was an official selection of over 65 film festivals, including the Seattle, Chicago, Palm Springs, Rio, and Durban International Film Festivals. In January 2006, the documentary opened theatrically to great acclaim. A Special Edition DVD was released by Water Bearer Films. In addition, the documentary has been seen on cable TV throughout the US, Canada, and Europe. His novel, Van Allen's Ecstasy, a finalist for the Ferro-Grumley Award for Fiction and the ISO Violet Quill Award for New Fiction, was re-printed by Lethe Press and has been optioned by Guest House Films to be made into a motion picture. He also co-edited a collection of creative nonfiction entitled Identity Envy: Wanting To Be Who We're Not (Routledge Publishers), with Jim Van Buskirk. Jim is currently working on several projects involving the life and works of low-budget film auteur Tom Graeff. Jim also does Web site design and restores and releases neglected films on DVDs under his company, Gorilla Factory Productions. Coinciding with the release of I Always Said Yes, Gorilla Factory Productions released Wakefield Poole's films Moving! and One. Two, Three on DVD and has worked with Vinegar Syndrome on their DVD releases of the restored versions of Poole's films Boys in the Sand, Bijou, Wakefield Poole's Bible, and Take One. In conjunction with the release of That Man: Peter Berlin, Gorilla Factory Productions released Peter Berlin's two films on DVD for the first time. That Boy: Special Edition won the GayVN Award for Best Classic DVD Release in 2006, while the Nights in Black Leather: Special Edition DVD won the same award in 2007. His short video, Jan-Michael Vincent is My Muse, which Jim wrote and directed, has been an official selection at over 30 film festivals around the world. An experienced journalist, Jim has published book reviews, essays, and feature articles in the San Francisco Bay Guardian, the Bay Area Reporter, Harrington Gay Men's Fiction Quarterly, Lambda Book Report, and the San Francisco Sentinel. Jim has been a resident artist at Dorland Mountain Arts Colony and at the Atlantic Center for the Arts. Although he grew up in the Western suburbs of Chicago, Jim has been a long-time resident of California. He attended the University of California, Irvine MFA program in Creative Writing and holds a BA from the University of Illinois, Champaign-Urbana, and an MA from San Francisco State University.